Guriddo jqGrid JS is a client-side component built on top of open and widely used standards such as jQuery, jQuery UI, ThemeRoller. 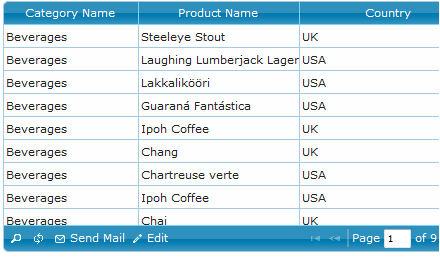 Simply it is the most popular jQuery based grid UI product in the world. With its simplicity and easy to use we try to the developers life eassy. Check all the features that we have developed. Guriddo jqGrid PHP is a server side component built on top of open and widely used standards such as jQuery, jQuery UI, ThemeRoller. It uses Guriddo jqGrid JS and allow a PHP developer to create a web based grid component with a ton a features for a minutes. Guriddo Scheduler for PHP is a event calendar component built on top of open and widely used standards such as jQuery, jQuery UI, ThemeRoller, etc. 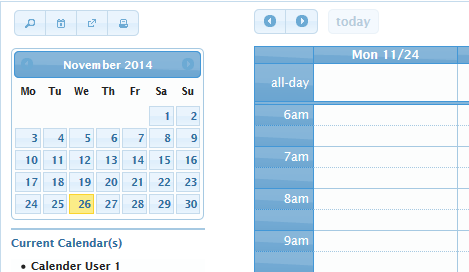 It provides a full-sized, drag & drop event calendar. 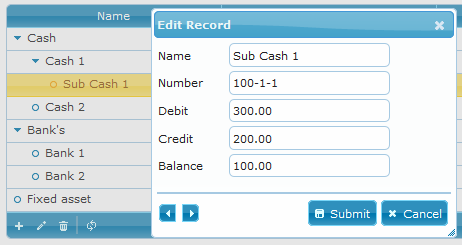 It uses AJAX to fetch events on-the-fly and is easily configured to use your own feed format. It is visually customizable with a rich API.